FreeCommander XE is an easy-to-use alternative to the standard windows file manager, reminiscent of Norton Commander. The program helps you with daily work in Windows. Here you can find all the necessary functions to manage your data stock. 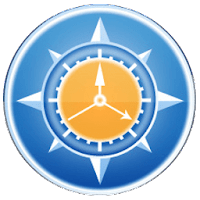 You can take FreeCommander anywhere - just copy the installation directory on a CD or USB-Stick – and you can even work with this program on a foreign computer. Note: the x64 version is available as bonus for the donors. Disclaimer: Direct downloads for the lastest version of FreeCommander XE 2017.740 are provided by the official software's author, we can't guarantee safety, availability or download speed. Moreover, we don't and we won't provide any pirated/illegal versions or tools. We recommend you to avoid it as these methods can harm your device. If you like the software, buy it to support the developers. (We provide software discounts for many worldwide brands).